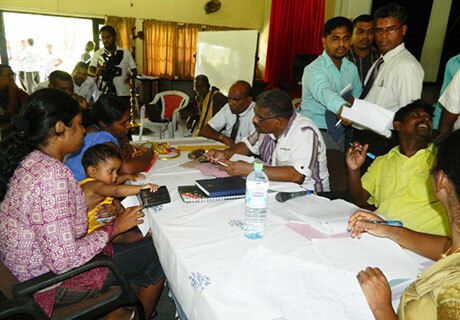 A mobile service of the Ministry of Road Development, EPC was conducted at Salika Salawa Hall at Dehiyattakandiya Divisional Secretariat area on 02.03.2014 under the Chairmanship of Hon. 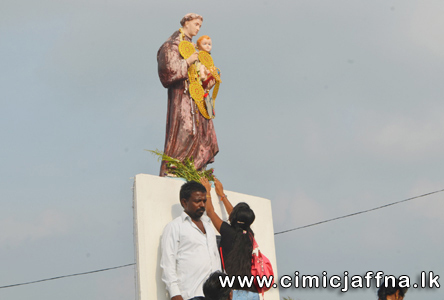 Minister of Road Development, EPC M.S.Uthumalabbe. In this event, the problems faced by almost 250 peoples were identified through 20 societies functioning among 16 Grama Niladari Divisions and immediate attempts had been made to solve several problems. Mr.M.I.Salawdeen, Mr.K.Pakkiyarajah, Planning Director, of Ministry of Road Development and other officers from Ministry of Road Development and from Divisional Secretariat Dehiyattakandiya have also been participated on this Mobile service. 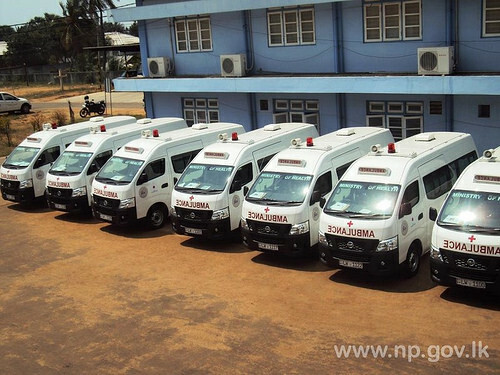 A ceremony to hand over 24 ambulances to the District Hospitals and the Base Hospitals in Northern Province was held at Ministry of Health & Indigenous Medicine on 19 March 2014 at 11AM. 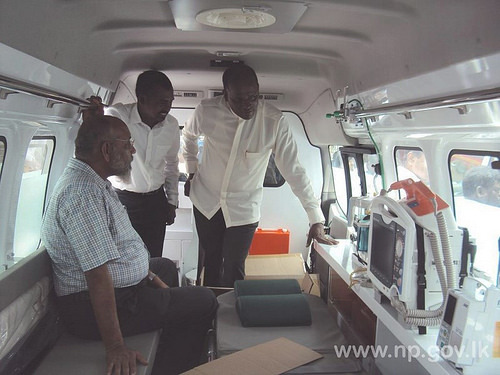 Minister of Health & IM Dr.P.Sathiyalingam headed the event.These ambulances were donated by JICA Project. Chief Minister of Northern Provincial Council Justice C.V.Wigneswaran participated as the Chief Guest and Chairman of Northern Province Council C.V.K Sivagnanamparticipated as the Special Guest. 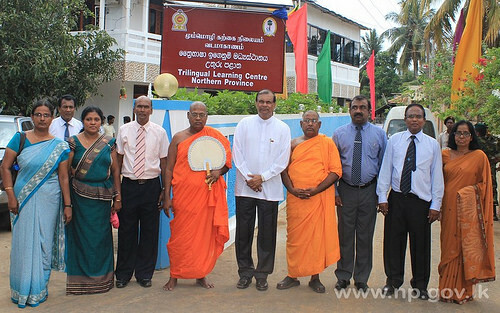 Members of NPC E.Arnold, C.Sugirthan, B.Kajatheepan, Secretary to the Minister Ministry of Health & Indigenous Medicine, and other Ministries’ Secretaries, Provincial Director of Health Services, Provincial Commissioner of Indigenous Medicine, RDHs , Medical Superintendents, Medical Officers and Health Officials also took part at this event. A 05 days Training Programme on Web Serving and Communication was conducted by MDTD, EPC to enhance the abilities of web browsing and communicating skills for Visual Impaired Persons. The Training Programme has been ceremonially inaugurated by Mrs. J.J.Muraleetharan, Deputy Chief Secretary – Personal & Training on 10th of March 2014 at MDTD, ICT Lab. 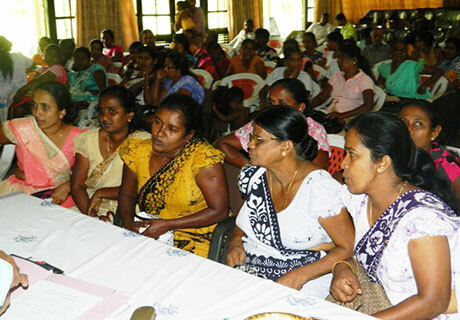 An introductory lecture on vocational training and self-employment for unemployed youths in 52 Division area organized by the 4thth Mechanized Infantry Regiment (4 MIR) of Kankesanthurai was held at Headquarters 16th Vijayabahu Infantry Regiment (16 VIR) of Nunavil on Monday (10). The workshop was organized to educate the youths on the demand for some skilled labour in society and motivate them to follow any kind of vocational training according their interest and skill. Approximately 90 youths, both male and female attended the workshop. 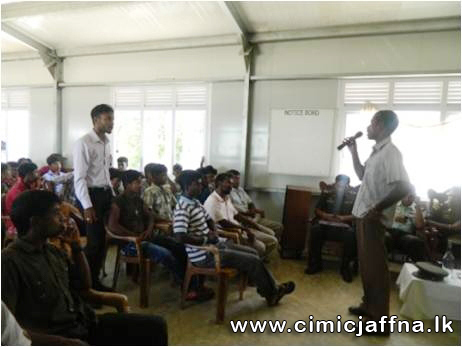 Mr. Suresh Kumar, an instructor of Jaffna Vocational Training Centre conducted the programme coordinated by the 523 Brigade of Allarai.